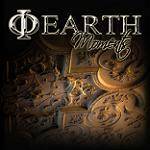 More information: 'Moments' is the second full studio album by IOEarth. Dave Cureton & Adam Gough have pushed their composition skills to a whole new level with this exquisitely crafted release. Jerry Ewing Classic Rock Presents Prog Magazne "I like this album a lot…"